The way RB8.1 creates dimensions has been improved. There is now a new dimension type that allows vertical & horizontal dimensions to be created between construction elements that are at angles to one another. This new dimension type is now referred to as “Linear Dimensions”. 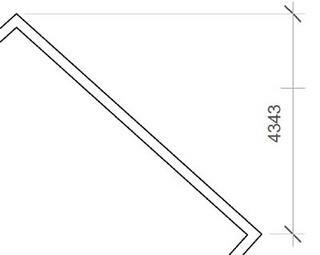 The previous linear dimension tool has been renamed to “Aligned Dimensions”. 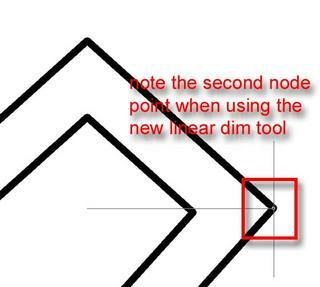 A point to note when using the new linear dimension tool, is that it is not obvious to use! You must pick two points, before creating the dimension. If you refer to the image below, you will notice a highlighted grey dot, in this case it is the second node point before creating the dimension.